from the Storyteller’s Guild of Canada. 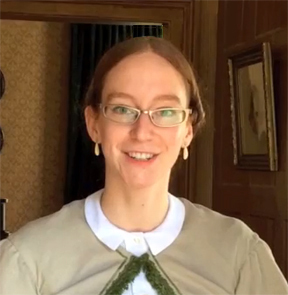 Kathryn uses her storytelling talents when giving tours at Ross Bay Villa. 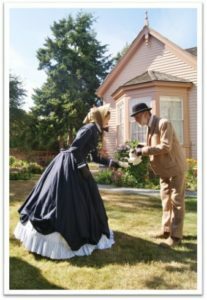 In addition to giving tours, she – in partnership with Storyteller Jennifer Ferris – has presented two delightful evenings at Ross Bay Villa, with readings and stories, making the life of 1860s Victoria come alive for their enchanted audiences. We congratulate Kathryn on achieving this wonderful recognition!